Furniture is a vital staple of our homes and offices. 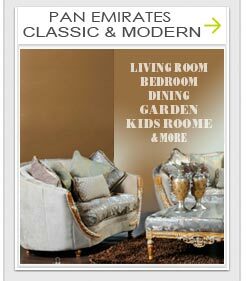 In Zabeel Rd Dubai, an innovative newly built furniture showroom has opened its doors for the residents of Dubai and the Middle East. The name of this great showroom is Options Furniture that is confidently eliminating all the options in the furniture industry in Dubai by offering their unique collection. They are also having a showroom located in Al Khalidyah Mall Abu Dhabi. 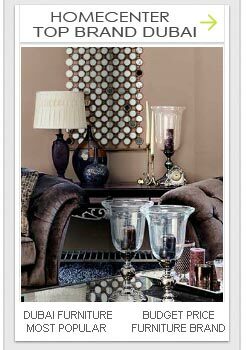 They are one of the Dubai’s leading furnishing and home décor brands. Apart from furniture, they are also dealing in superior quality Dunlopillo mattresses and pillows. Residents of Dubai have welcomed this furniture brand open heartily. Options furniture Dubai has about 125,000 sq ft and three-story centre with an underground parking, a flower shop, a coffee shop, and crèche facilities for children with a complete professional staff. In the centre close circuit, large television screens are placed to ensure parents that their children are safe and happy in crèche facilities. Exhilarating panoramic escalator and elevator is available to help customers in moving from one floor to another. 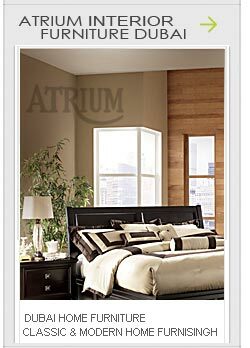 Options furniture centre is designed to assure customer convenience. In Options furniture Dubai centre, each after few feet call assistance buttons are installed to provide assistance to customers for quicker service and attendance when they need. The managing partner of Options furniture Dubai Samer Al Omari states that the aim behind the Options furniture is to provide world-class designs, superior quality, and professional advices to homeowners, innovative concepts and reasonable prices all together under a single roof. On the floor of Options furniture store Dubai, you will find an educated, well mannered, and experienced team of professionals that will guide you about a complete range of interior decor, latest furniture trends, and redecoration of homes. They are truly guiding their clients to meet their dreams. Options furniture Dubai is offering a vast and trendy range of office and residential furnishings. The range of Options furniture Dubai including complete collection of living, dining, bedrooms, and additionally including children’s furniture according to Flexa of Sweden safety standards. They are also dealing with a comprehensive and unique range of accessories to add a true essence of beauty to your each and every room. Options furniture centre Dubai also offers part sale on their products in which customers are allowed to buy some specific furniture parts at really low prices usually from 50% off to 69% off prices. This offer is usually valid on home accents and exquisite furniture. They are also carrying a 70-year-old international brand “Dunlopillo” which is thought as the leader of exceptional quality mattresses and pillows. Options furniture is opening timings are 10:00 am to 1:00 pm and then from 4:30 pm to 11:30 pm six days a week while on Friday their timings are 4:30 pm to 11:30 pm. They are one of the leading names that never compromise on quality and are used only the finest quality materials like solid wood, wooden veneers, and genuine leather.